Home Music A Mix Tape? Pfft. How About A Cassette Tape Coffee Table? A Mix Tape? Pfft. How About A Cassette Tape Coffee Table? There was a time when a friend’s mix tape, a sonic love letter from a crush, or a cassette played endlessly in your parent’s car could forever change you. Pause, rewind, and let that happen again with a company called Altar Furniture. 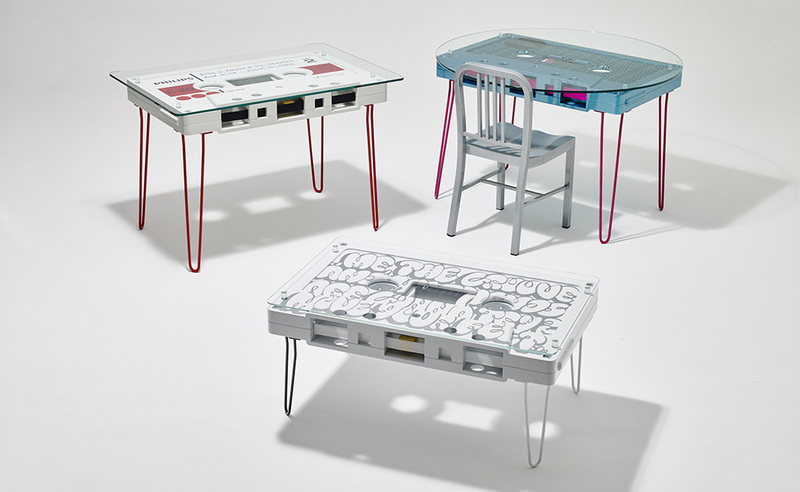 The ‘Great Tape’ collection of tables is a line of 1:10 scale copies of compact music cassettes functioning as furniture. With conversion kits available, the purpose of the same cassette is variable between coffee table, dining table and desk. These items have been designed and built by hand to bring back that exciting and nostalgic feeling of discovering music. Our designs are being inspired by many things related to tapes: Legendary demos, classic albums, bastardly bootlegs, mixes (comps) making a statement and also more contemporary influences for those looking for something really special. It’ll set you back by about $2,100, but that’s the price for being a music fan, right?